…and the title is still in its beta phase. Minecraft 1.0, the full, non-beta version of the game, will release next week during the company-sponsored fan convention, MineCon. The convention itself officially sold out on October 28th. It's being held in Las Vegas, Nevada, and it was too expensive and too far away for my wife to give me permission to go (dangit). Since the game is still in beta, it's currently selling for 25% less than its full price. If you've had any inclinations of picking up Minecraft at all, we recommend you do so before MineCon begins. Once the full version of the game is out, the beta-period discount will be over and done with. Paying full price later for a game that's cheap and absolutely awesome right this second!? That's crazy talk! You can snag Minecraft officially for $21.95. It's worth every penny, we promise. Once you do land your copy of Minecraft, be sure to check out the TechnoBuffalo Minecraft server. I've not been able to play since the game has absolutely destroyed my computer as of late. Trust me, I'm extremely bummed. This is honestly one of the best games to come out in years. 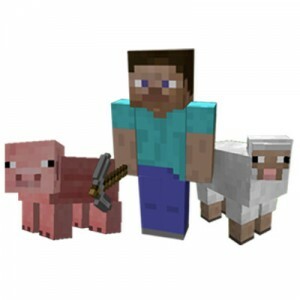 We'll have more on the upcoming releases for Minecraft as we have word of them. Mojang plans to continue supporting this project in the same manner they have been all along: constant changes, constant releases and constant answers to feedback. We expect their update release schedule to follow, basically, the same logic they've employed during the beta phase. That's right, at seemingly random intervals.